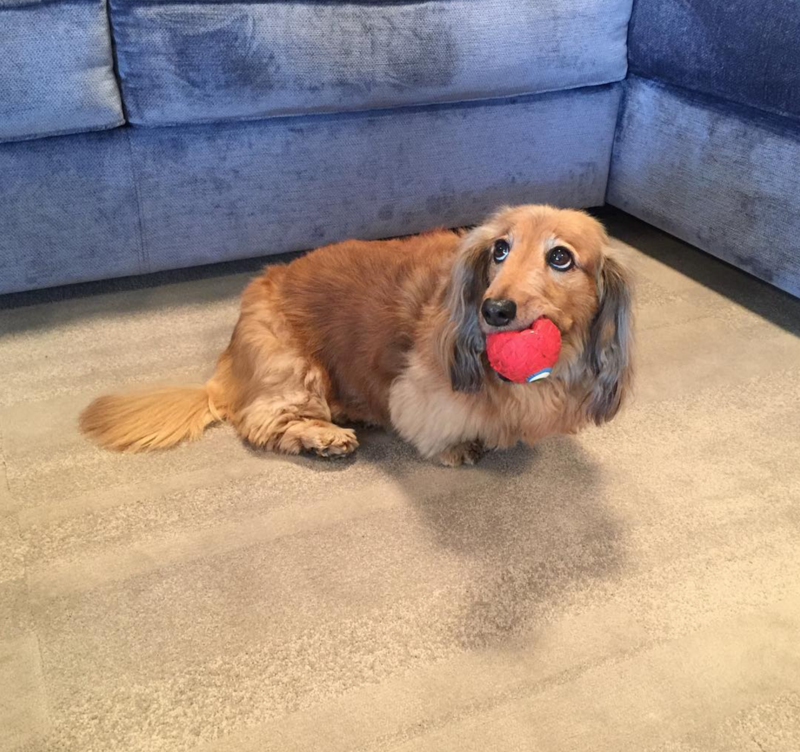 We certainly love our four legged friends at Furl, whom are more than welcome to visit the showroom, and so we understand that maintenance of sofas and even beds can sometimes be a bit of pain with them around. Not only do they shed fur, but along with mucky paws and jumping onto furniture they shouldn’t be, there is every chance that they could stain and damage your gear…but they are cute aren’t they! There are also certain things we can look out for, to be sure that we are choosing the right fabric for pets. Now we have gone through a huge selection process with our fabrics for you already. We make sure that any fabric we offer is heavy-duty, of good quality and strong enough to withstand the wear and tear of everyday life. It is of course very important that any fur from a cat brushing past your sofa or edge of the bed is easily brushed off, and that dirty paws from a sneaky dog that thought he would catch a chance at sleeping a night on the sofa can be wiped clean. So there are of course a few favourite fabrics when it comes to pets. Leather is easy to clean, with any mucky paw stains simply able to wipe off. With a huge array of colours to choose from, you needn’t have to stick with the traditional Chestnut Brown that we see so many items of leather upholstered furniture within. Leather will also be the fabric with the easiest maintenance, but it does come at a cost. Faux suede has a wonderfully luxurious look to it but is extremely heavy duty and tough too. It is resistant to scuffs and scrapes and Health-guard gives added protection against dust mites, mould and bacteria, perfect for keeping our pets healthy. Known as the ‘cat proof’ fabric, they shouldn’t be able to get their claws into it, and in turn will become disinterested with destroying it. Wool is a surprisingly robust fabric and often used in airports, so we are pretty certain that if it can withstand airport traffic, it can cope with a couple of mischievous pets. Easy to vacuum away any malting hair, sumptuous wool is completely natural, renewable and sustainable. Of course we have far more than these three fabrics to choose from at our showroom and dependent on your pet, the colour of their hair, the rooms in the house in which they might be allowed to roam all has a factor in what fabric you may choose. 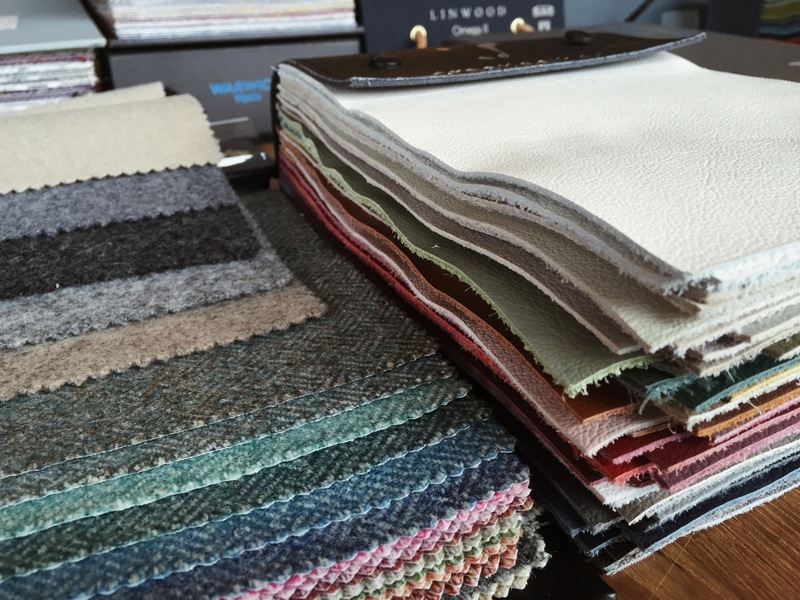 We do have an ability to order fabric samples from our website, but our full range of fabrics can be found at our Showroom in London, which is open on Wednesdays and Saturdays by appointment. You are more than welcome to bring your dog too! Of course, the more protected your furniture is the better it will survive pet use! Our Guardsman fabric protection is a great way of protecting your investment piece of furniture that we want to follow with you from house to house. Not only does it prevent accidental spills (or any four legged dribble) from soaking in and therefore staining the fabric, but it’s also an insurance policy that will allow your sofa to be cleaned and if necessary re-upholstered. Guardsman is only available on our sofa beds – but this is because by the time your storage bed is dressed with duvet, pillows and throws, there is very little fabric on show, plus we have a brilliant removable fabric option for self-cleaning. Our pets keep us going on the gloomiest of days, and I am sure you have found yourself ogling at a cutely dressed sausage dog somewhere on Instagram in the last couple of days! Our pets are with us for life too, along with our furniture and with a clever choice of fabric, keeping our houses clean with pets around needn’t be a struggle.